Two men were recently charged after reportedly importing 1.1 million illegal cigarettes. The two men falsely declared the cigarettes as black tea through Melbourne Airport. The Herald Sun reported that the haul was worth more than $10 million. The cigarettes were imported via multiple air cargo shipments, across from the United Arab Emirates. 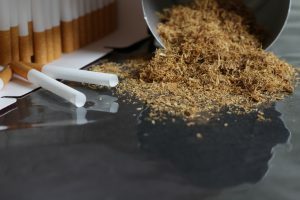 Colin Drysdale, the ABF Acting Commander of Special Investigations said: “The ABF is leading the ITTF to focus on identifying, targeting, disrupting and dismantling criminal syndicates who trade in illicit tobacco”, the Herald Sun reported.